Are you hosting a casual get-together with family and friends? Perhaps you are throwing a full scale party? Or maybe you are just looking for some make-ahead appetizers that travel well for that potluck party. Either way, spending time with family and friends is great! With a little planning, you don’t have to spend all your time in the kitchen the day of your special event. 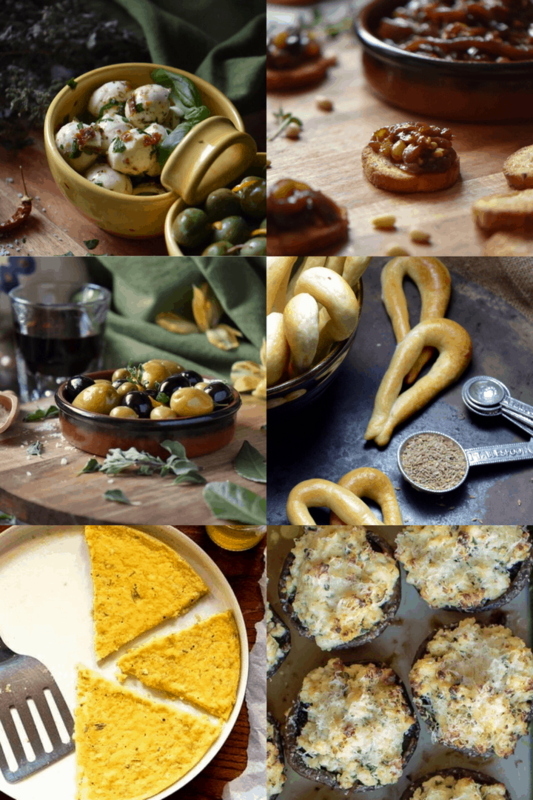 Here are some of my favorite Italian Appetizer recipes, also referred to as antipasti, that are conveniently prepared ahead of time. It goes without saying that the use of fresh ingredients in these Italian starters makes all the difference. 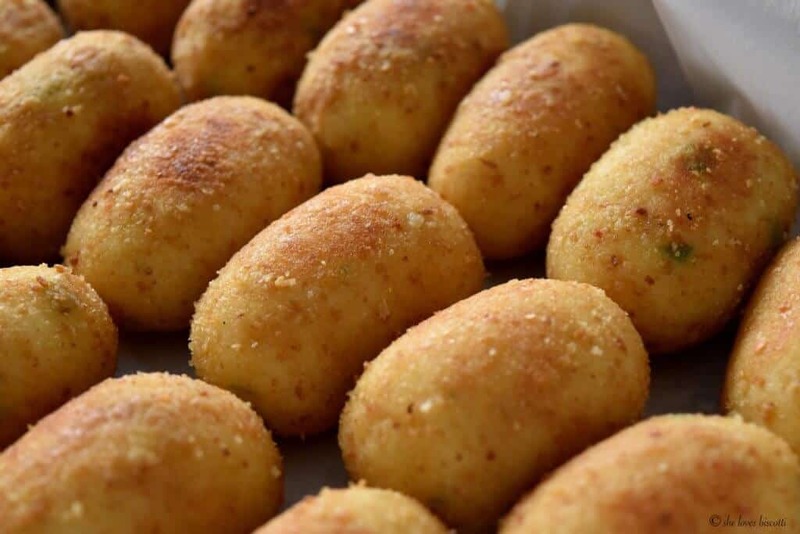 Let’s begin with one of the best Italian appetizer, Potato Croquettes! This popular southern Italian street food, called crocchè is deep fried until crispy golden. I am happy to say that my recipe is not deep fried and only requires a total of 6 teaspoons of olive oil for 20 servings. Are you curious to see how I prepare them? All my secrets revealed to make the best Italian croquettes that are crispy on the outside, creamy on the inside. Your friends and family are going to love them! Make sure to make a Marinara Sauce for dipping! Italian Appetizer recipes don’t have to be complicated to be good. This recipe for Marinated Olives is a classic example. 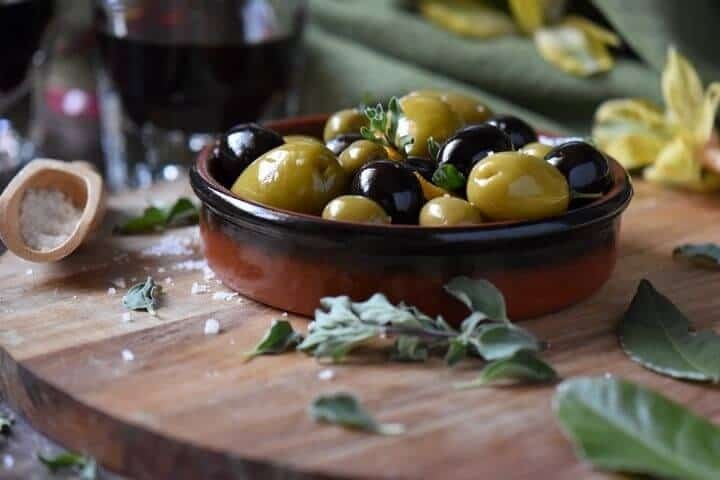 With just a few quality ingredients and an overnight stay in the refrigerator, you won’t believe the taste transformation of these once briny olives. They also make a great addition to your Italian cheese board. This easy Eggplant Caponata recipe is yet another example of a party appetizer that can be made ahead of time. 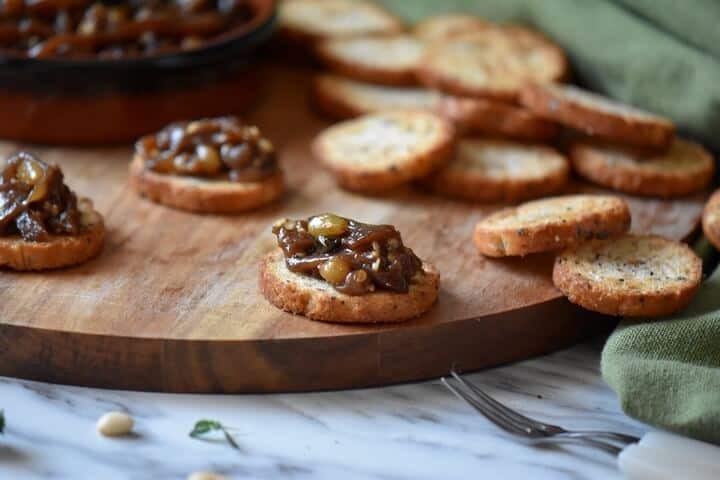 Eggplant, olive oil, honey, balsamic vinegar, pine nuts and capers are roasted together to provide you with a sweet and savory taste sensation. It truly makes one of the best crostini toppings! I’m always on the lookout for easy healthy appetizers that taste great. The truth is that I love recipes where I can use my Homemade Ricotta Cheese. 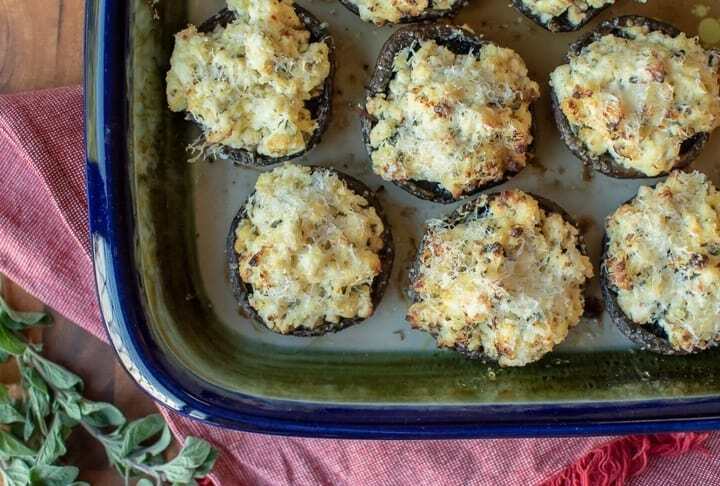 The first time I saw this recipe for Baked Mushrooms, I knew it would be a hit with family and friends. If you are looking for an easy stuffed mushroom recipe, you are going to love this tasty appetizer! Head on over to Marcellina in Cucina for all the details. 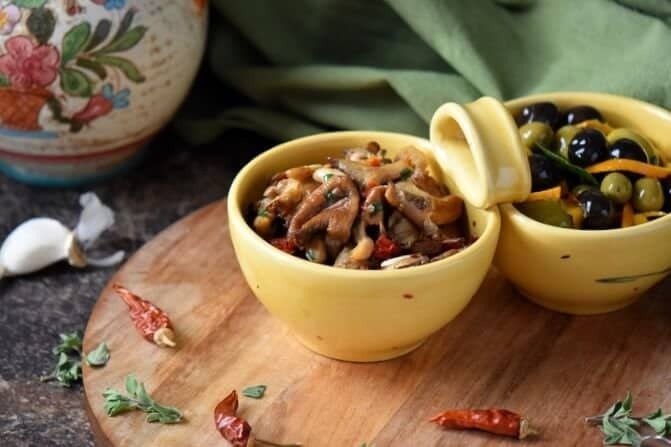 I want to share another recipe for a tasty appetizer I think you are going to love… Marinated Mushrooms! This easy marinade consists of red pepper flakes, lemon juice, garlic, chives, dried tomatoes, oregano and olive oil. Your guests will have a hard time resisting Italian appetizers like this one. A vegan and gluten free recipe originating from the beautiful Italian region of Tuscany. 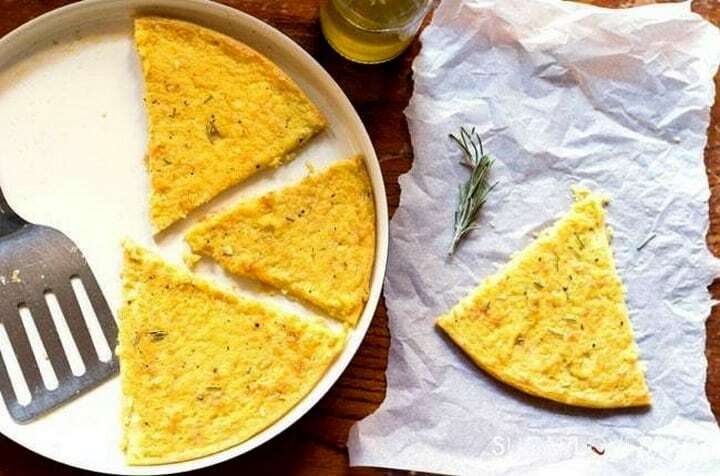 The ingredients to make this Cecina Flatbread consist of chickpea flour, olive oil, salt, pepper and water. The batter can conveniently be prepared ahead of time and when you are ready to serve this easy appetizer recipe, simply bake it. All the details can be found over at the SugarLovesSpices website. 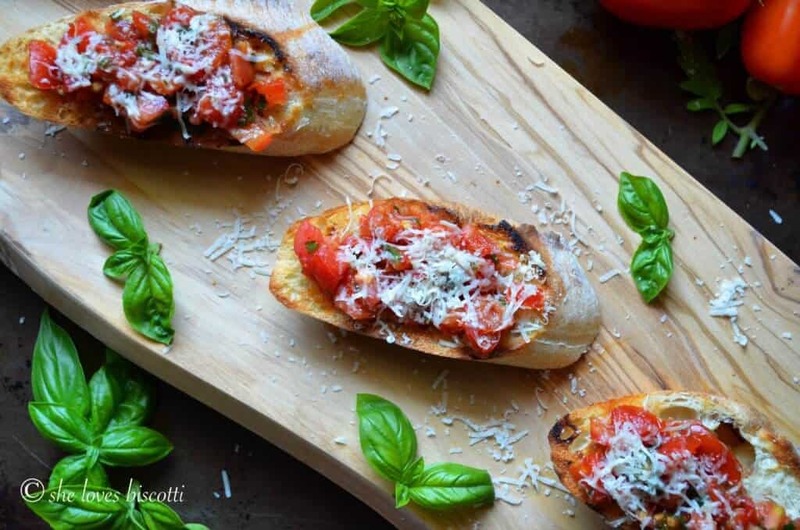 Have you ever wondered what is the best brushetta recipe? Would you be surprised if I told you it was Tomato Brushetta -pronounced brusˈket.ta. Just follow my tips and tricks and you will have the best recipe to make this easy Italian appetizer. Here is another Italian favorite! These Marinated Mozzarella Balls are the perfect addition to your cheese platter. Simply combine the cheese with herbs, spices and olive oil and marinate overnight. On the day of your party simply plate and serve. It really is that easy! The best way to describe Taralli is a cross between a cracker and a bread stick. They have a wonderful crispy texture and are extremely addictive. They truly make one of the best Italian Appetizers! 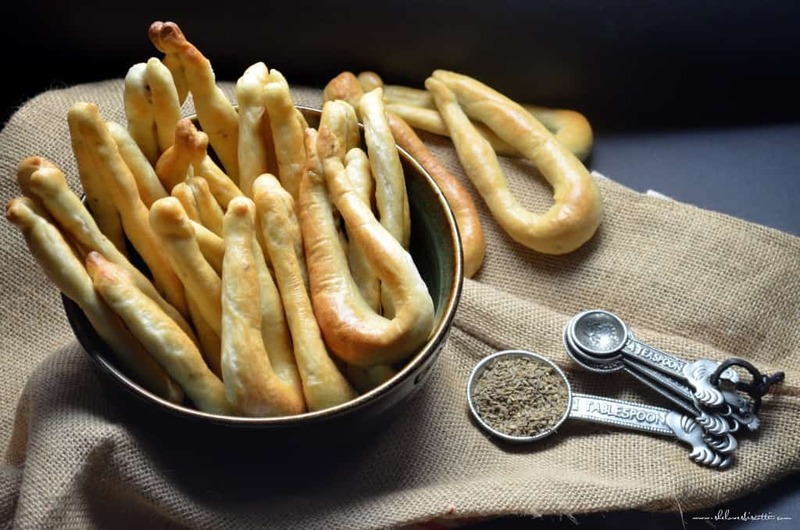 Although this taralli recipe will require a couple of hours to shape and bake, you will be rewarded with a wonderful Italian snack food and appetizer. 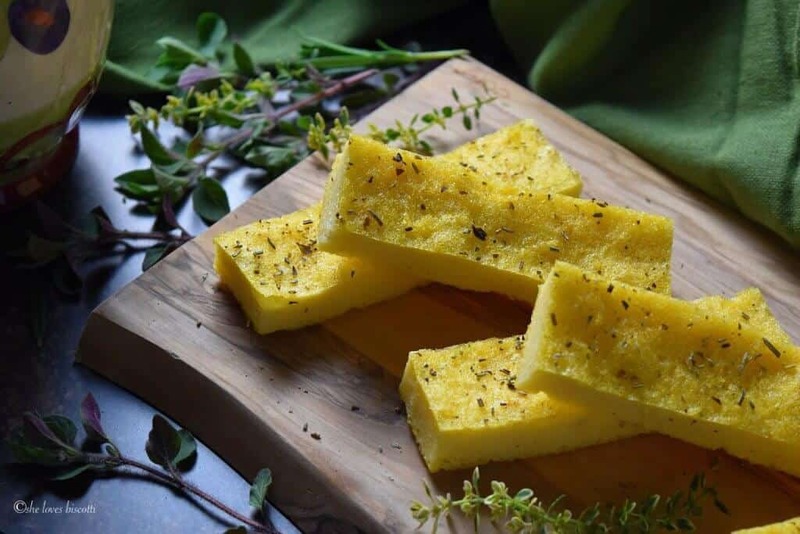 Finally, I just have to include this recipe for Polenta Pizza as part of my easy appetizer recipes to share with all of you. Once you make and taste this family recipe, you will understand why. That’s it! Hopefully I have provided you with some inspiration so the next time someone asks you to bring some easy Italian appetizers for the big game, you have a couple of options! These are just some of my easy finger food recipes for a crowd. If you are looking for more Italian appetizers, be sure to consult my category page. What is your quick and easy “go to” recipe for appetizers? I would love to hear about them in the comments below! You make us want to throw a party! So many great, tasty, simple Italian recipes for wonderful antipasti! Thank you for including our recipe. Shared it! My pleasure Nicoletta! Italian appetizers really are so easy to prepare and everyone just loves them! I love your recipe for cecina, thanks for allowing me to share it!